"From sharing the influence of female visionaries from France to a play that asks us what is art," says Marie-Monique Steckel, President of FIAF, "this year’s Crossing The Line Festival engages with pertinent questions facing our society and allows us to build a deeper understanding across perceived boundaries." This year’s festival is the last to be curated by Lili Chopra, Simon Dove, and Gideon Lester. Founded by Chopra in 2007, the festival has brought international interdisciplinary work into the heart of New York culture and engaged a wide range of audiences across the city’s boroughs. During Chopra, Dove, and Lester’s eleven-year tenure, Crossing The Line has presented more than 100 premieres by a wide range of leading international artists and companies. The directorship of the festival will pass to FIAF’s new artistic director, who will be announced later this summer. "Adventurous programming that makes you think as much about your place in the world as about art itself"
Crossing The Line is an annual French and international arts festival for New York City produced by the French Institute Alliance Française (FIAF) in partnership with leading cultural institutions. France has a long history of supporting national and international cultural practices, welcoming and nurturing new ideas and influential perspectives from around the world. FIAF, as the leading French cultural institution in the US, critically maintains that practice through the Crossing The Line Festival, presenting trailblazing artists from France and the US alongside their peers from around the world. Since its inauguration in 2007, Crossing The Line has cultivated an increasingly large and diverse following, and received numerous accolades in the press including The New York Times, Wall Street Journal, The New Yorker, Time Out New York, Artforum, and Frieze. Festival performances have earned Obie and Bessie awards. The leading French language and cultural center in the US, FIAF is dedicated to offering innovative and unique programs in education and the arts, all exploring the evolving diversity and richness of French cultures. FIAF seeks to generate new ideas and promote cross-cultural dialogue through partnerships and new platforms of expression. 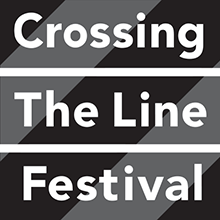 An initiative launched by The Edmond de Rothschild Foundations and FIAF during Crossing the Line 2016, BRIDGING offers international perspectives to evaluate policies and practices in an effort to move beyond simple acknowledgement of cultural diversity to achieve genuine equality in the arts in our shifting cultural landscape. This year, artists Nacera Belaza and Syhem Belkhodja will be featured at Crossing the Line as part of BRIDGING. FIAF will partner with the Hermès Foundation’s (Fondation d’entreprise Hermès) New Settings Program for a sixth consecutive year. Launched in 2011, New Settings supports new performing arts productions that shift borders between disciplines to create innovative art forms. This year, works by Boris Charmatz and nora chipaumire will be presented at Crossing The Line within the framework of the New Settings Program.